Just after a couple is engaged, they are flooded with questions of when and where. The question of when and where is never easy. 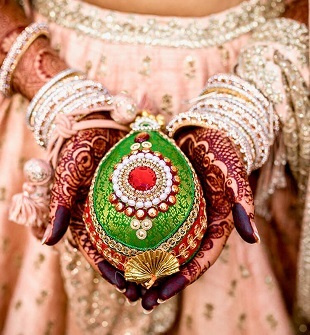 In India, weddings are a big affair and wedding venue is something every guest invited is excited about. Booking a wedding venue is one of the most important aspects of your wedding planning process. Get it wrong and it will taint the entire day, get it right and your wedding will be all you had ever hoped for. Remember to understand the budget. The budget should not contradict the logistics. Everything from how many guests you are expecting to attend the ceremony, the time of day you want to have your wedding and any special accommodations your guests might require. The budget might give a headache but it should be maintained without flowing into the river of emotions to save you from later stress. 2) Is the Venue Available? Take a confirmation about the dates and availability of the venue. Most of the venues are pre-booked during the wedding season. 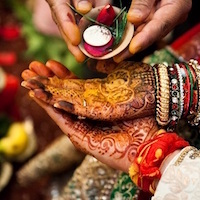 In India, people confirm the wedding date almost 4-5 months prior and do an advance booking for the wedding venue. If the venue is pre-booked, look for another venue and make sure it fits your budget. We have to make sure the venue has enough accommodations. If it has enough rooms for your guests. Make a list of how many guests you have invited and how many rooms are required (make sure to keep some extra rooms!) and if the venue has enough rooms for these many people. Along with their lavish decor and celebrations full of fun and frolic, Indian weddings are known for their enticing food. Any wedding is considered incomplete without delicious food. The guests might forget about everything about the wedding but they never forget the kind of food and drinks you served. Make sure the food tastes heavenly which includes the appetizers, the main course and the dessert. Find out if they have in-house catering service if not, you have to add another job to your list and that is finding one of the best caterers in town. Also find out if there is an option available to bring your own caterers and can they use the kitchen, power, running water, etc? 5) Is Access to the Venue Easy? We have to make sure that the wedding venue is easy to find. It should not cause unnecessary frustration to the wedding guests. The venue should not be near the busy street as it may cause noisy disturbances to the wedding party but the venue should be accessible to the guests invited. Look for the services and amenities provided by the wedding venue. If it has in-house catering services, whether the venue provides pick up and drop facilities for the guests, the security system at the venue, the setup crew for your wedding, if the venue has AV facilities or not etc. These services and amenities should be checked while booking a wedding venue. The behaviour of the staff members also matters a lot. Pay attention to the existing decor of the venue. What style and architecture do the building’s interior convey. The ambience should reflect your personality. The lighting should be accurate to create the perfect ambience. A wedding reflects your personality, so take some time to think about what it is that would make your wedding truly unique and special for you, and then create the perfect environment for you. 8) Does the Venue Fit Into Your Needs? Before booking a venue, it’s kinda very important to consider if the place is suitable for your needs. Is it going to provide you ample space for all your ceremonies? If you are planning for different ceremonies like Jaimala, Marriage Ceremony in the venue itself, then does it offer sufficient space for all ceremonies? It is really important that you discuss this in advance and ask about the availability and arrangements. It will always save you from last-minute chaos. 9) Will Entertainment be Provided? During the wedding, guests need a reason to get high and dance. 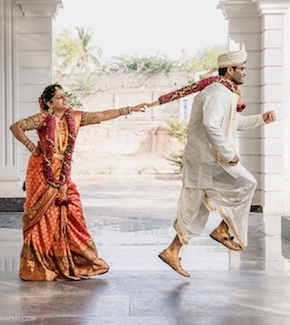 Find out if they can provide a DJ service for the sangeet ceremony or the cocktail party. If you have planned a cocktail party, find out if the venue allows alcohol or not. If it allows and provides alcohol, the kind of alcohol it provides should also be written in the checklist. The guests demand the best alcohol, so make sure the alcohol provided to the guests is of number one quality (no stinginess allowed when it comes to alcohol!). 10) Are There Back-up Plans in the Event of an Unexpected Weather Incident? If you are planning an outdoor wedding, make sure the wedding venue has always got backup plan ready for weather mishaps like rain, storm or anything. In India, the weather conditions are very unpredictable, so make sure there is always a backup plan for such situations. There should be a room or hall ready for such unexpected weather incidents. The backup plan should always be ready. Booking a wedding venue is definitely not an easy task and these things should be considered and kept in mind while doing it.